A couple of years a ago we were sitting on a big pile of piñatas after a company party. So we started a piñata webshop — Piñatabutikken. It turned out to be one of the best business decisions we ever made. Back when the agency was turning its first year, we threw a massive Mexican fiesta in our office backyard. As one does, we flew in a mariachi band, built a custom bar with tequila drinks and ordered a truck load of piñatas. Naturally, close to a thousand piñatas was a bit over the top, so when the dust settled, we were left with a huge pile of paper-mâché figures. To get rid of the pile, a new side project sprung to life: pinatabutikken.no, a webshop selling piñatas in different shapes and sizes. Whenever we would have some spare time between client work, everyone at the office was doing customer support, marketing campaigns, packaging and shipping piñatas, pitching ideas for new custom products and developing the webshop. We were talking to the Guinness book of records to find out how we could create the world’s largest piñata, Johan got a full size replica of himself as a piñata for his birthday, and we sponsored our own bike racing team. After just 30 days in business the shop grossed $10.000 a month. One of the pro cyclists from Team Piñatabutikken taking a “break”. With this side project, we had a dedicated creative space where everybody could pitch ideas and you could be your five year old self again. No idea was too lame or too ambitious, and they were brought to life quickly. 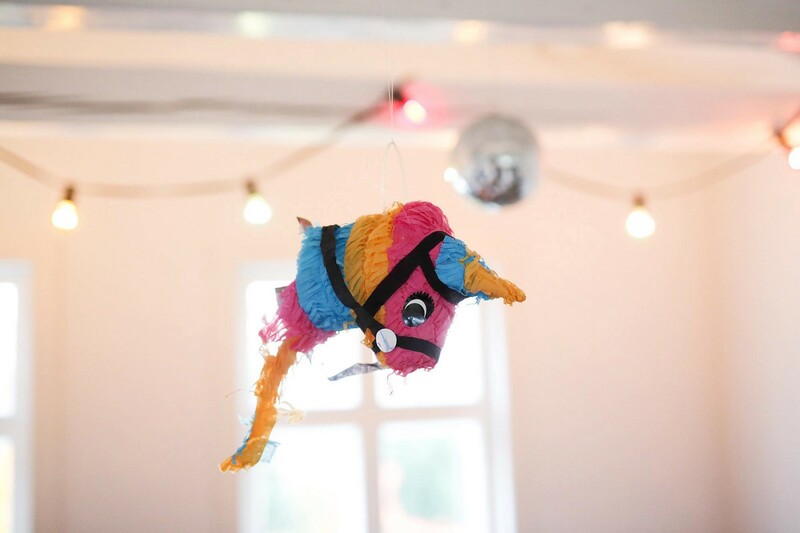 More than that, we realized that a lot of people around us were talking about the project, and as an agency we became known for running a piñata shop. It worked as a terrific icebreaker when meeting new people, and it even became one of the reasons why great people wanted to work at Bakken & Bæck. It made us visible and showed that we created our own playgrounds outside of the normal work. After having the side business running for a while we decided to sell it, and along with it, a part of our soul. Since then, we have grown from a team of six to sixteen employees, and a solid cultural foundation is essential. Having a dedicated creative space and low threshold arena where everybody can push out their ideas, and where no idea is too stupid or too ambitious was really important to our culture and forced us to hang on to our playfulness. By keeping the way from idea to implementation really short we got to test our ideas in real life instantly. The team spirit generated by the project was remarkable. Since everybody played a part in every stage of the project, the team felt invested in the product as a collective. Realizing the importance it had for our culture we have now decided to buy back the piñata shop, and keep it as an anchor for our corporate culture. With a dedicated creative space for stupid stuff entangled in the business’ nervous system you ensure that you keep that important creative edge. The edge that keeps your greatest talent vested in the company, and gives them that little extra space they need to thrive. 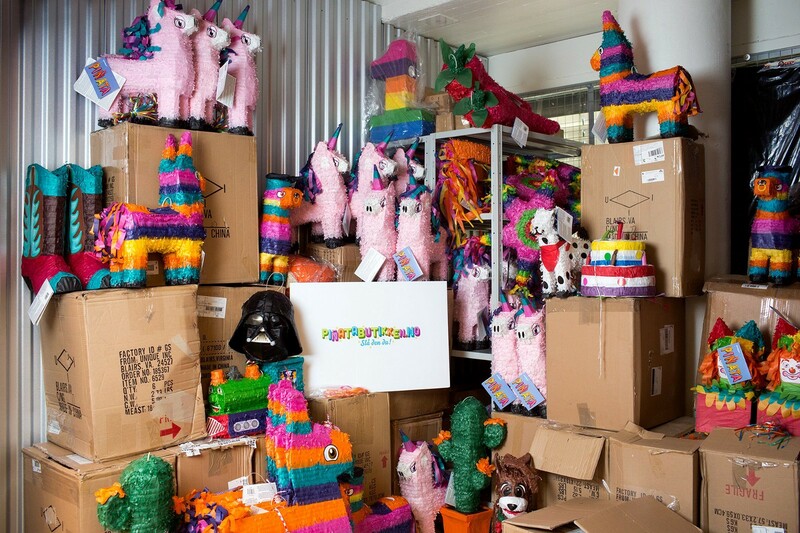 What we learned from having something as stupid as a piñata webshop was that the product itself wasn’t that important, but the effect it had on our own culture was tremendous. It would work as a counterbalance when we felt we got sucked into the vortex of operations and billable hours, and it was a constant reminder that made us hold on to our playfulness and ability to execute. Beware of future piñata stunts from Bakken & Bæck in the time to come. Thanks to Ståle Grut and Espen Waldal. I’m the Co-Founder of Bakken & Bæck, Wake and Orbit.